Why is the Buick Enclave such a well-liked vehicle with Lafayette drivers? The Buick Enclave is a family-friendly midsize SUV that is versatile and reliable. It has room for up to eight passengers and three rows of seats, so there is an abundance of space for the whole family and all of your equipment. Technology buffs will like the available built-in 4G Wi-Fi hotspot and the ability to connect up to seven devices for entertainment on the go. It comes equipped with a six-speed automatic transmission and athletic handling, along with safety features like Blind Zone Alert to help you prevent collisions on the road. Look through our inventory of new Buick Enclave vehicles in Lafayette to discover the color and options that are right for you. Also be sure to check out our special offers on the Buick Enclave. 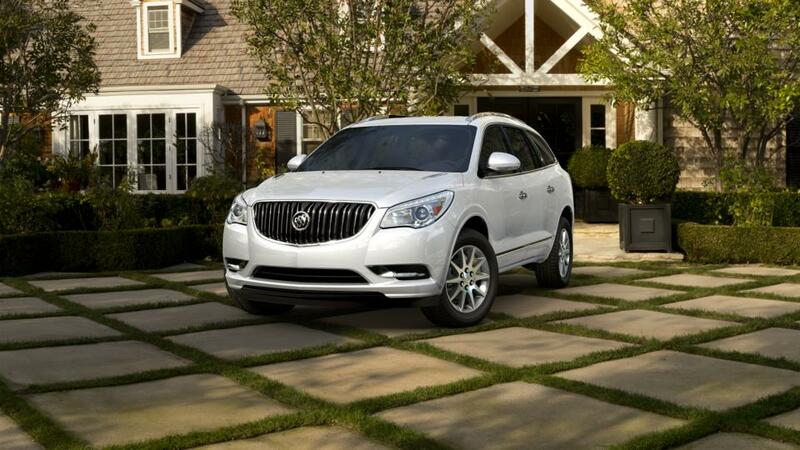 Give us a call at 337-326-4983 to schedule an Buick Enclave test drive today. We have a huge inventory of all the latest Used 2014 Buick Enclave vehicles, as well as used cars, trucks and SUVs of all makes! See why Buick and GMC buyers from Opelousas, New Iberia, Baton Rouge, Youngsville, Broussard and Crowley trust Courtesy Buick GMC Lafayette to find the best selection, and best prices when shopping for a new or pre-owned vehicle. See our inventory of New Buick Vehicles, New GMC Vehicles, or our large selection of used cars, trucks and SUVs. If you're looking for a specific vehicle type, we carry trucks, SUVS, and cars for sale in Lafayette. Call 337-205-9409 to schedule a test drive!